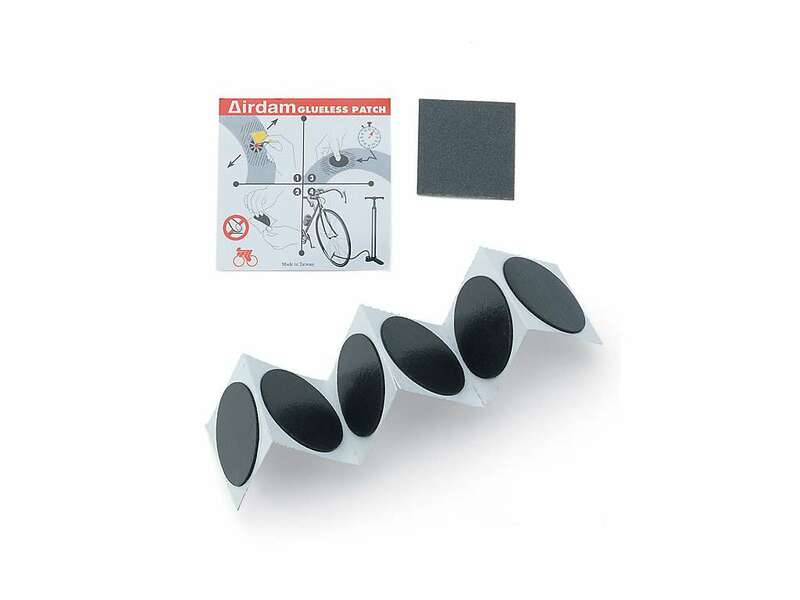 Repair set, helpfull accessory for every biker, set includes 6 self-adhesive patches. Very quick and easy use, light package. Suitable for all kinds of inner tubes.